Hi everyone, I am so excited to share that I am now a part of the Skipping Stones Design Team. 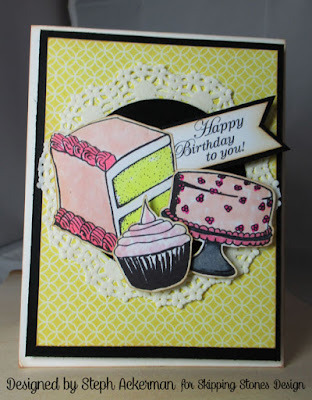 Today the design team is participating in a blog hop. 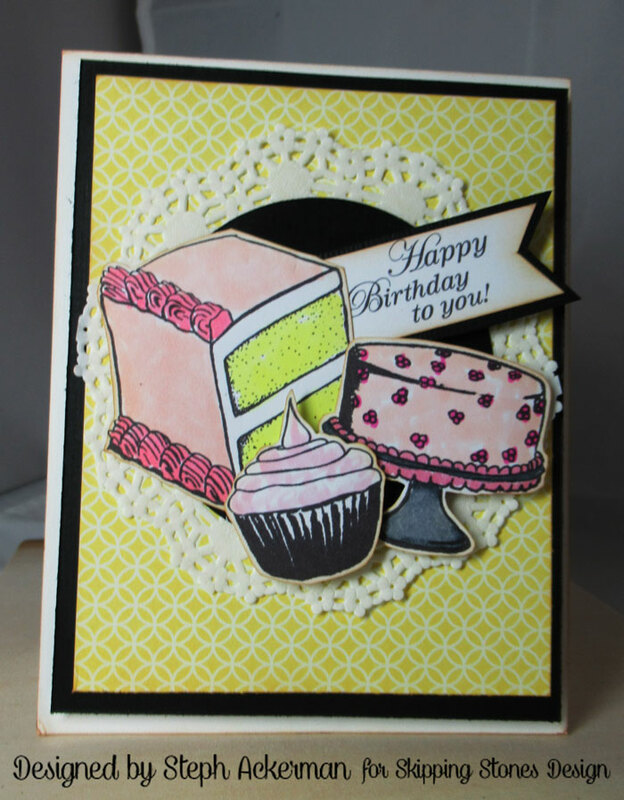 I've used the Green Birthday stamp set to create a birthday card. 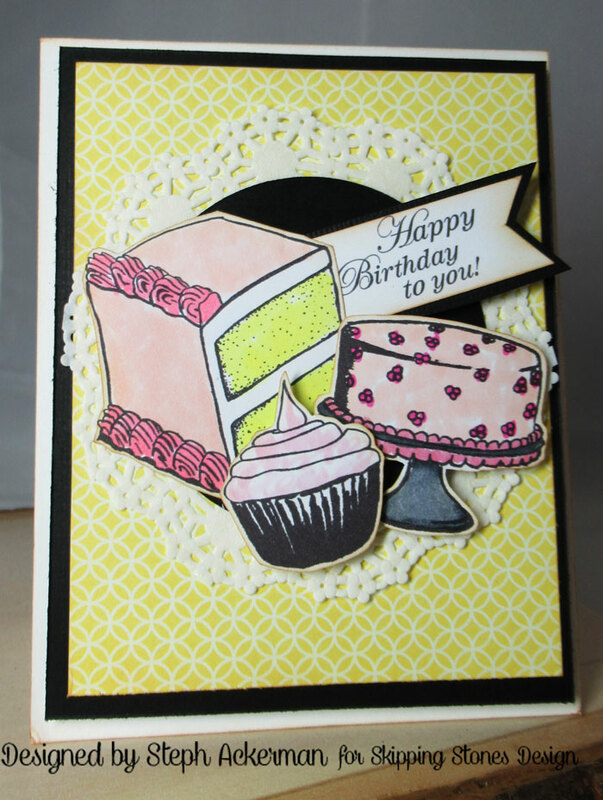 Who doesn't love cake or cupcakes for their birthday? All the elements were matted on black cardstock and then adhered to a paper doily. Happy Birthday was inserted amongst the cakes. Here is the blog hop list. Please stop by and see what the team has created. Hi Steph! 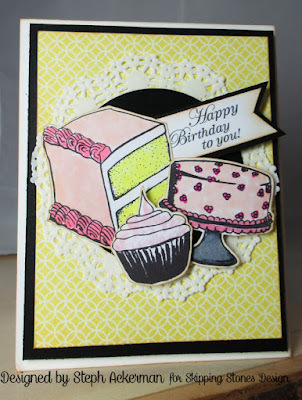 Yummy, Yummy card!! Welcome to the team Steph. Loving this card. Here we go again... Hi Steph!!! Glad to be on another team together!!! Fantastic Card!! So glad to be on the team with you! !